Newtonians reflectors offer the lowest cost per square inch of aperture size. In astronomy it is the size of the front diameter that will limit your observations more than all other factors. An equivalent 4.5" diameter in a refractor or Cassegrain will be 2-3x the price. 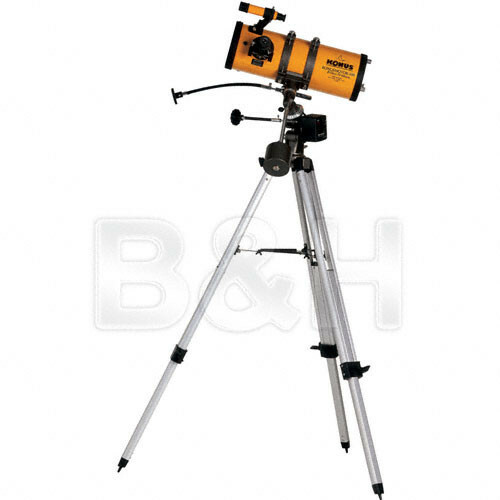 Newtonians show the image of space upside down, which can be corected through the purchase of an optional erecting image prism if you desire to use your scope for terrestrial viewing as well as stargazing. Box Dimensions (LxWxH) 31.0 x 15.0 x 10.0"